Those of us who crave Mexican food in this part of the world have to make it at home, since authentic Mexican restaurants don’t exist around here. Thankfully, homemade tortillas are quite delicious. But they take time to make by hand, and sometimes I would rather go the route of almost-instant gratification. All that is needed is to pop some popcorn and start shaking on the seasonings. The taco seasoning is my go-to favorite. This might be due to my growing up in central Oklahoma, where restaurants of all kinds, but particularly Mexican and Tex-Mex, abound. 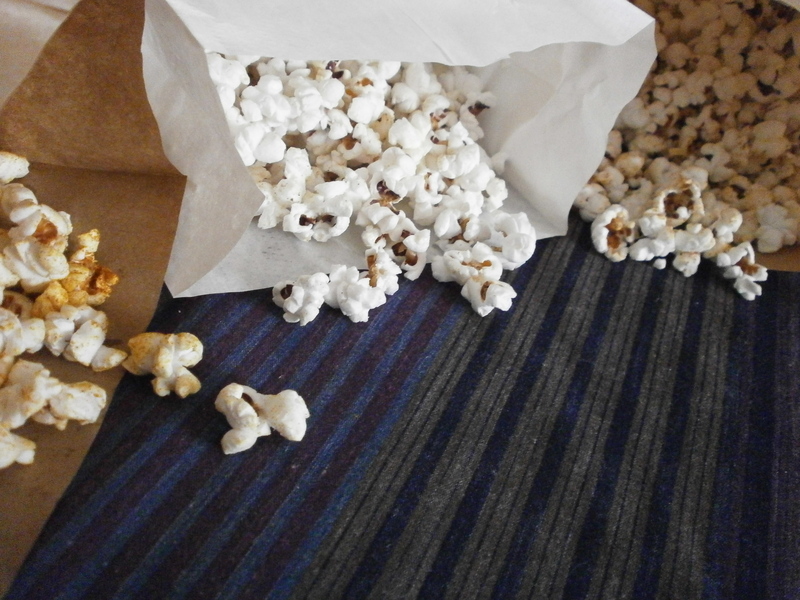 However, the cardamom and briyani spiced popcorn are also seriously addictive. I did experiment with curry powder as well, but it was too intense and I had to rule it out as a popcorn seasoning. Next on my list to try is za’atar spice blend, which is unique and mild, thanks to sumac. That will require a trip to an ethnic grocer in the Big City though. Meanwhile, I have three other internationally-inspired popcorn options to keep me happy. Try them all to see which one satisfies your food cravings best. Movie night, anyone? Pop the kernels via your favorite available popping method. I use a 5.5 quart heavy-bottomed pot with a lid and make it on the stove top, like this. 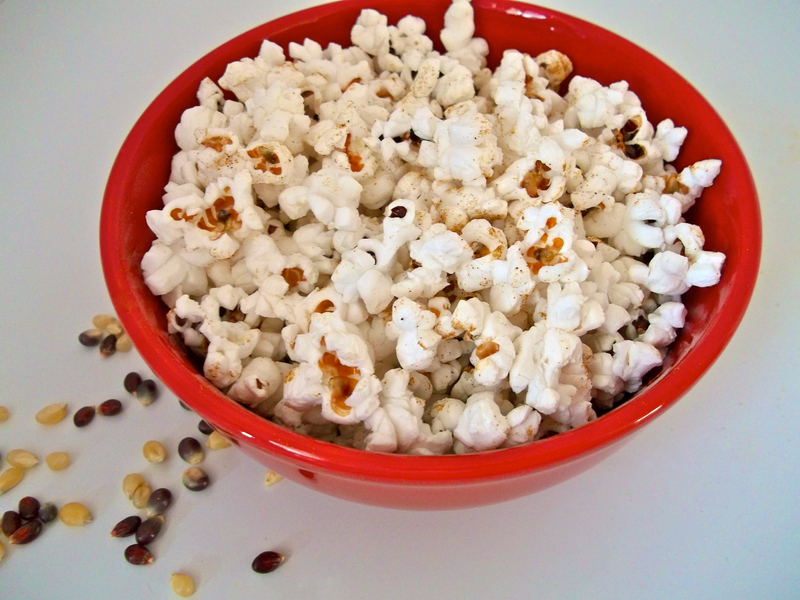 Drizzle popped kernels with olive oil or butter. Salt to taste. To create a sampler of different flavours, divide popcorn into different bowls. Sprinkle one type of seasoning (taco, cardamom, or briyani) onto each bowl of popcorn and toss to distribute the flavour. I’m sharing this recipe at Pennywise Platter, Simple Lives, and Gluten Free Fridays. This sounds delicious! What a great idea, and thanks for using my post for the taco seasoning! You are welcome, and thank you for sharing your marvelous recipe. I hope you have a few minutes to try the popcorn soon! This looks so amazing!!!!! What a great idea. While I can get Mexican food 24-7 around here, getting the flavor in popcorn is fabulous. I like the idea of taco seasoning! What a fun addition! Thanks for linking this up at Gluten Free Fridays! Can’t wait to see what you bring to the party this week! The taco seasoning and other spices sound great in the popcorn. Thanks for linking it up to Saturday Dishes. Thanks for hosting, commenting, and sharing! I see lots of interesting popcorn recipes this week!